Doing your own taxes is a lot like trying to tattoo your own back. You may think you have it all figured out, only to discover that you’ll need to put a lot more skin in the game. 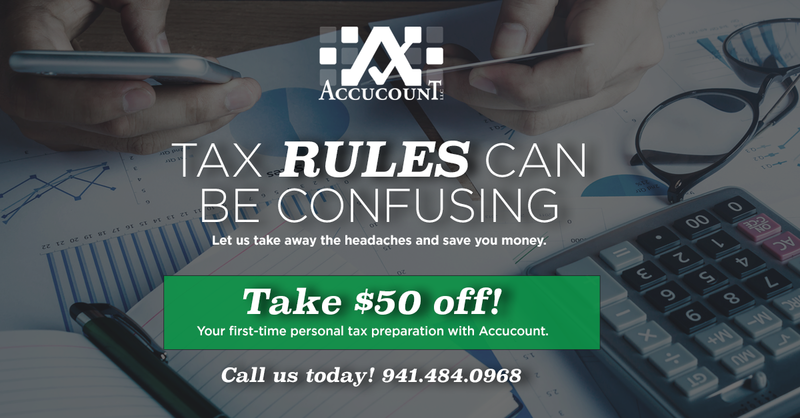 When Accucount prepares your taxes, you’ll sit down for a short but comprehensive interview designed to help uncover all sorts of deductions and credits you may never have found by yourself. Our mission is to make sure you’re paying the lowest legal tax. And that mission is accomplished over and over during tax season.